Pierre Robin Sequence Awareness Day 2016 | Brokenness - It's Gravy, Baby! 3 words that changed our lives- forever and for the better. When Brynlee was born, I remember asking Justin why God would give us a broken baby. It’s easy to judge that statement when you’ve never lived it but I vividly remember driving home from the hospital, hormones pumping through my body with no baby near, and being angry that God gave us a broken baby! Hadn’t our family gone through enough- 5 hard losses in the previous 20 months and now a very sick daughter!? I’d had this awful gut feeling several times during my pregnancy that something was wrong. 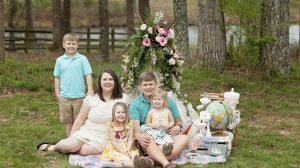 I remember standing at my kitchen sink, looking out the window with a swollen belly, and tears falling because I felt like something wasn’t right with the baby I was carrying. I have a habit of setting myself up for the worst case scenario so I made myself believe that that was all that was going on- I was being a pessimist because we’d lost so many family members. I wasn’t carrying a broken baby. We are all broken- that’s how the light gets in. I didn’t know it when she was born, but her brokenness would be my saving grace. Her brokenness would force me to face my own brokenness and would be what kept me going when my world crashed down a few months later. Because she was weak, I had to be strong- even as I watched my dad and best friend suffer and slip away. Even as I stood for what was right when everyone else thought I should sit down and shut up. 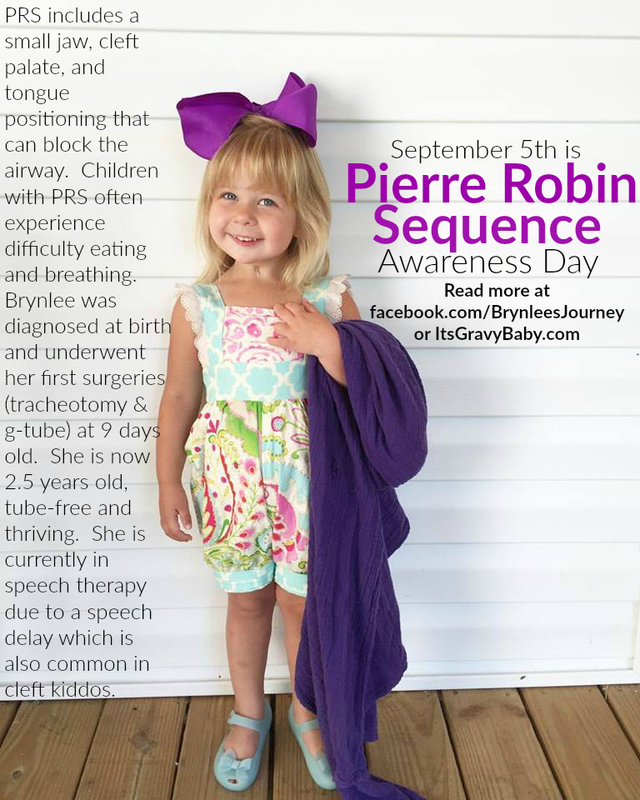 Pierre Robin Sequence is a “sequence” of events- a small jaw which forces the tongue into the roof of the mouth causing a cleft palate and the resulting posterior tongue positioning. It can be genetic but in Brynlee’s case, it isn’t. 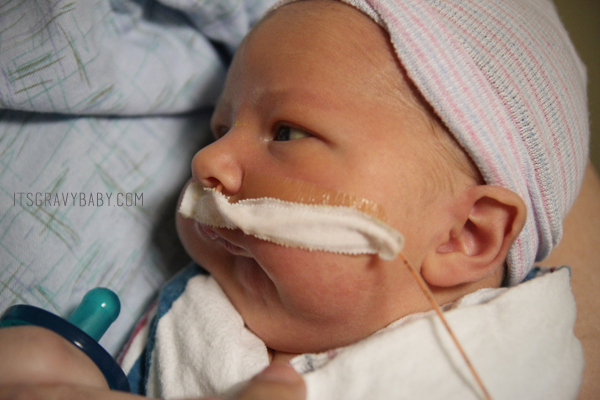 We don’t know of a single person on either side of our family with anything related to PRS- not even a cleft which is common. Pierre Robin Sequence was meant to be a part of our lives. As I type this, there is a beautiful blonde-haired little girl playing dress-up with magnetic dolls beside me. Her hair is almost white in places and her eyes are a beautiful blue. Inside her mouth, you can barely tell there was ever a hole thanks to an amazingly skilled surgeon. 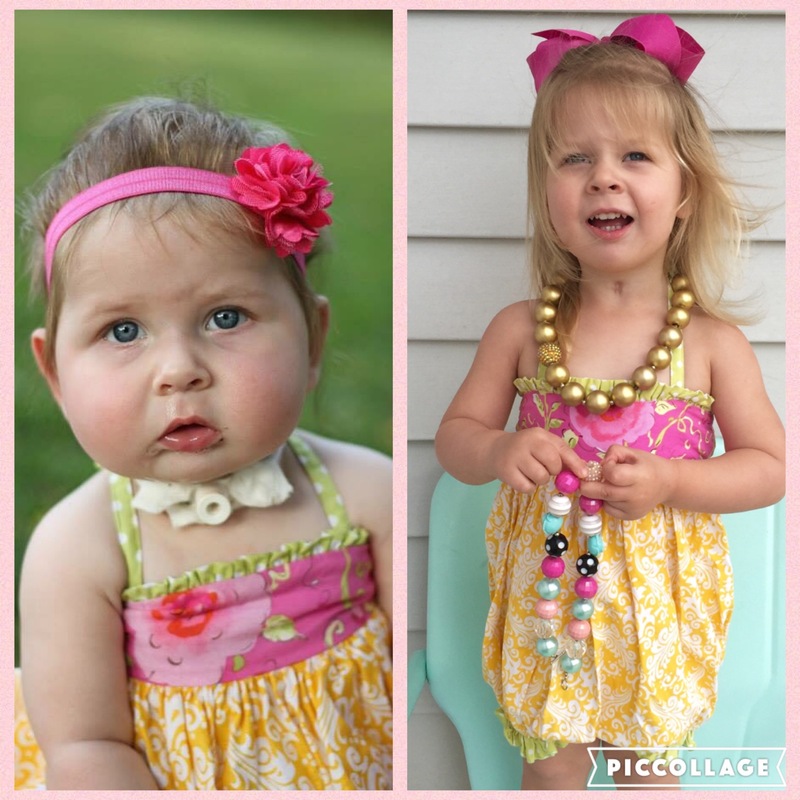 On her neck is a small scar that tells the story of a baby who worked for every breath until she underwent a tracheotomy at 9 days old then decannulated herself at 13 months old. 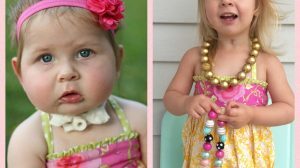 On her belly is the tale of a little girl who used a feeding tube for almost a year and to everyone’s amazement weaned within a week with no oral aversions as she turned 1 year old. Above that scar is another which speaks of a baby girl outgrew her need for a g-tube and had it sewn up in her 6th surgery at 14 months old. Her scars- the ways in which she is forever changed are visible to the eye. Those marks on her body speak louder than words and tell the tale of a baby with amazing strength. Those marks speak of her story and of a God who still performs miracles today. The marks she has left on me aren’t visible but they are there. 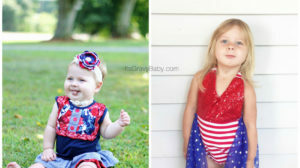 If you knew me before Brynlee and after Brynlee- you can see them. The journey those words- Pierre Robin Sequence- has taken us on hasn’t been easy, but it’s been worth it. Those words have made our family stronger- we love deeper and harder, we stand fiercely and strongly for one another, and we have an unbreakable bond. All because of a broken little baby. Brokenness is for a season but the lessons from it are for a lifetime. I’m so glad you reached out. 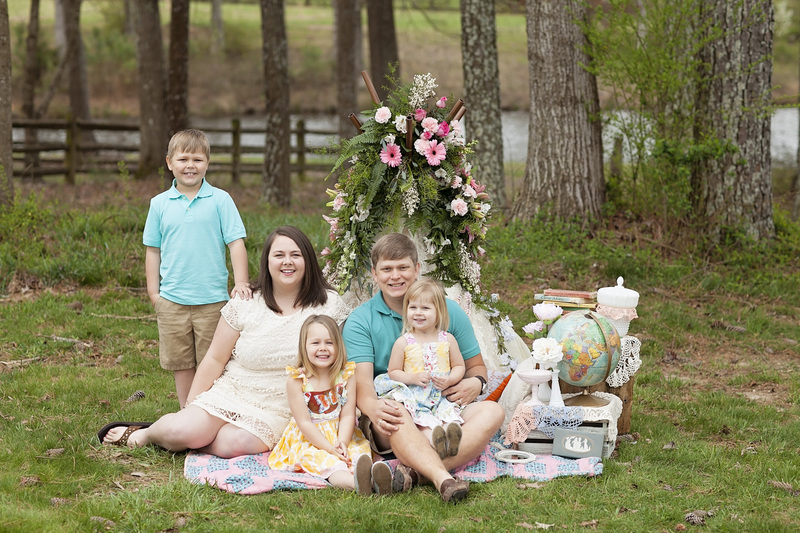 I would be thrilled to have Brynlee’s photos included in the brochure. Sharing her journey has been a kind of therapy for me as it’s helped me process. Many PRS parents find her story and they write to let me know her story gives them hope which fills my heart with joy. Thank you again for seeking out PRS parents and for your part in helping bridge that gap for future PRS patients and their caregivers/ parents. Please let me know if you need anything else. Reading your beautiful little girls story really has been my saving grace. Im a 20 year old mum with a little 22 week girl inside my tummy. At my 12 weeks scan my baby was diagnosed with Micronesia, and since then I’ve been seeing all sorts of professionals and the only outcome we have had is “we won’t really know till she’s been born” as you know this has been terrifying for me. Luckily since then we’ve had all the micro erray tests come back and there are no deletions or abnormalities that they can see. We’ve been in touch with a facial surgeon who told us that they don’t tend to do anything till before she starts pre school, and we have also talked to an ent surgeon who quite frankly terrified me by telling me that I’d have to expect her to have a trach for double the time of most little ones, or worst case Sanrio for the rest of her life, and that anything else is for the doctors to worry about not me. Iv tried to google as much as I can, but your website is about the only thing that doesn’t make me sob, well that’s a lie, I often sob at your stories but only because you and your little girl truly are my inspiration. I’m terrafied for my little poppy, and I’m scared it’s only going to get a lot worse when she’s born. Sadly because this condition is so rare I have nothing to compare it to, apart from horrifying Google search images and websites. Your about the only mother i’ve found who’s gone through the same situation, and sadly your thousands of miles away. But thank you for sharing your story with me and many others, i read it everytime I feel overwhelmed and defeated. I know it’s going to be hard, but reading yours and your beautiful strong little girls story has put a new light on a otherwise doom and gloom situation.